Listening to your favourite tunes or watching a TV show you love is part of your everyday life. And you deserve to enjoy them without disruption. However, if you’re experiencing them with a generic plug fuse, chances are your enjoyment is being degraded. With AMR Gold Fuses, your enjoyment will rise to another level! Generic fuses only have one job – to act as a safety cut-out once the electrical current passing through it exceeds safety levels. 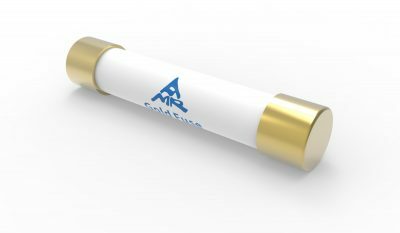 AMR Gold Fuses are different. You’ll never blow a fuse over poor audio quality again. Can a fuse really do that? 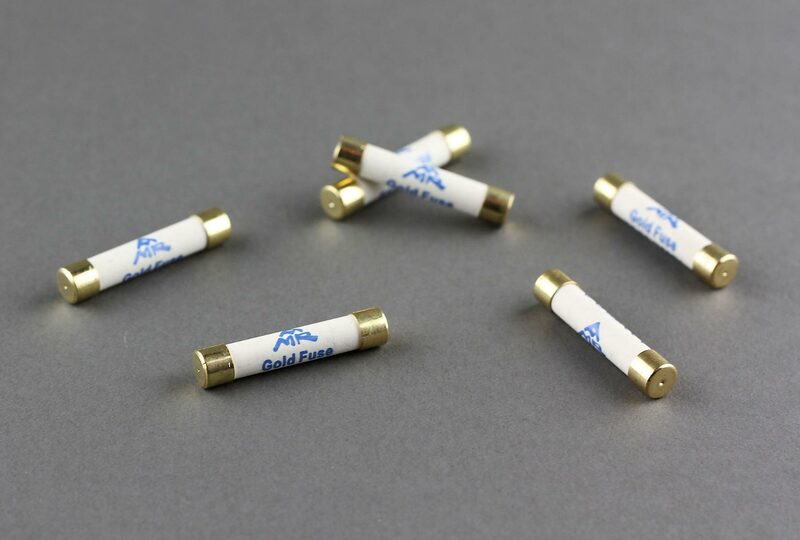 In a nutshell, the AMR Gold Fuse is a reference replacement fuse for all electronic products. Audio and visual products from amplifiers to LCD televisions will attain a higher level of performance as the power supply chain is no longer “degraded” by running the electricity through a compromised, mass produced fuse. 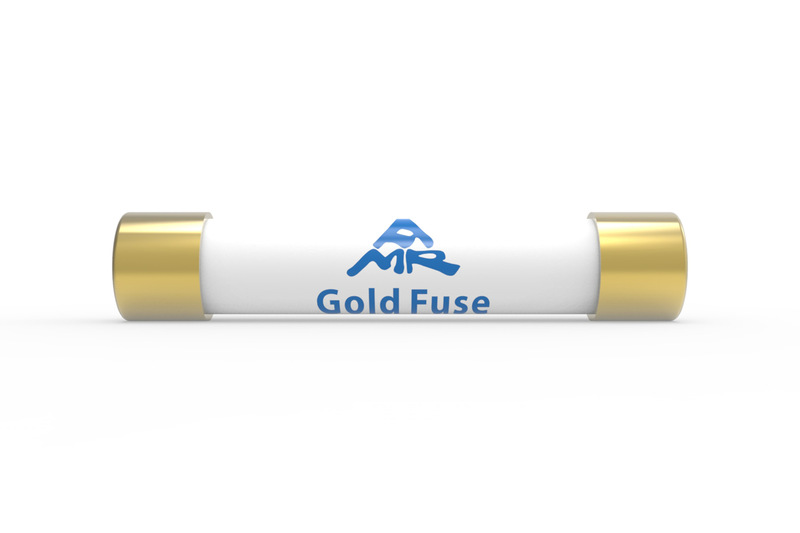 With AMR Gold Fuses added to your home entertainment devices, you’ll never use a generic fuse again. 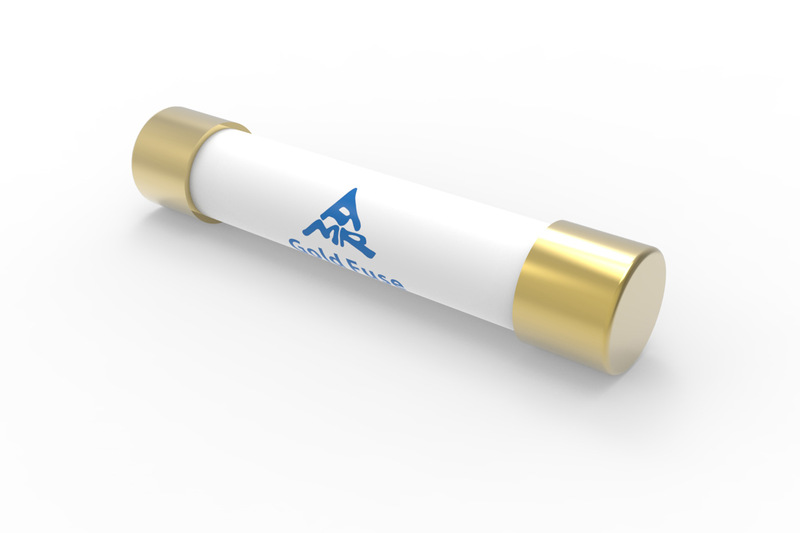 Why did we develop the AMR Gold Fuse? What is the sonic benefit of the AMR Gold Fuse? 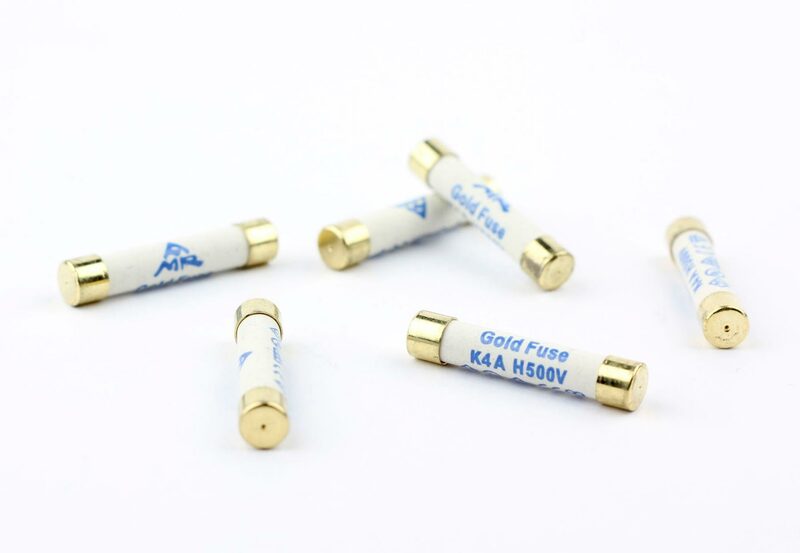 How many different ratings of AMR Gold Fuse are available? How do I determine the value of the current fuse to replace? 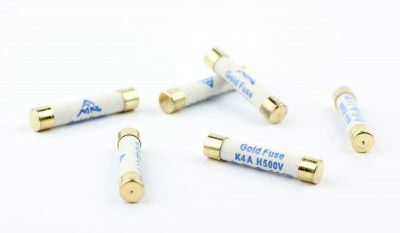 What sized AMR Gold Fuses are available? And why are there different-sized fuses? What are the AMR Gold Fuse (slow-blow; time-lag) best-suited to? What is the burn-in time for an AMR Gold Fuse? How long will an AMR Gold Fuse last? Why not make a pure silver fuse? Why is the AMR Fuse offered as a 3-Pack? Where is the AMR Fuse fitted? 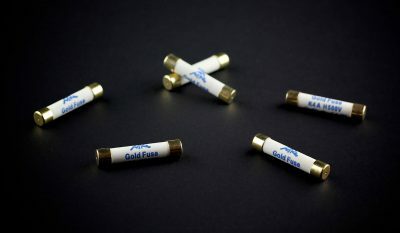 What are the AMR Gold Fuse (fast-blow) best-suited to? 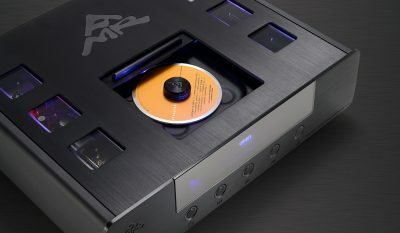 AMR is an uncompromising audio company and one of the remaining areas in our products that we felt we could improve upon, was the fuse as this is typically, an industrial-grade item which does not satisfy the needs of the enthusiast. 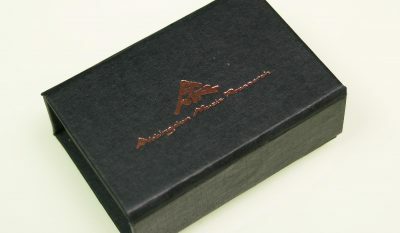 Hence, the AMR Gold Fuse was developed to specifically address this aspect. 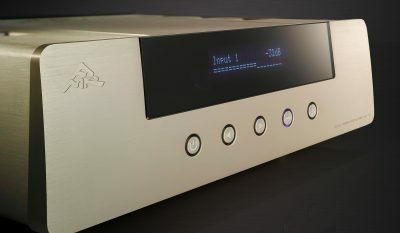 With an AMR Gold Fuse and once it has fully burned-in, the listener should notice the music produced by the audio component take on a fuller body, better definition and detail, with reduced distortion and an extended dynamic range. For a visual component such as an LCD television or a Blu-Ray player, the picture and sound quality should be somewhat sharper and crisper. 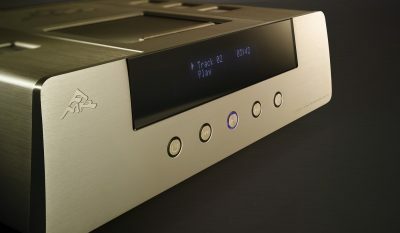 The audio/visual texture and colour should be richer with an overall more dynamic presentation. At present, there are 7 different values: 0.125A / 0.25A / 0.5A / 1A / 2A / 5A / 10A which represent the main spectrum of amperage rating for audio/visual equipment. A further 5 different values: 1.6A / 3.15A / 6.3A / 8A / 15A will be added in the near future. Please contact your local AMR distributor/dealer or AMR directly for further information. Examine the current fuse and check both end caps. One of the end caps will have a stamped value such as “0.5A”. Simply look up the same or nearest but lower fuse value from the AMR range and replace with this fuse. 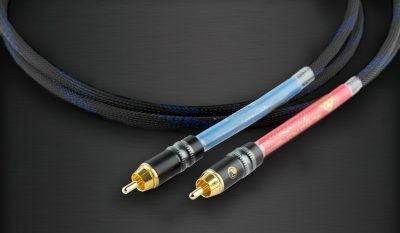 Presently, 5 x 20mm is available for internal component use and/or the IEC connector at the rear of the component. This size is commonplace in European equipment. 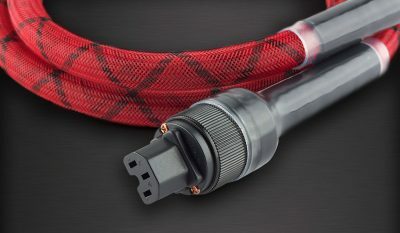 In the near future, 6.3 x 32mm which is popular in US equipment and the 6.4 x 25mm fuse which is mainly suited to UK mains electrical systems, will also become available. 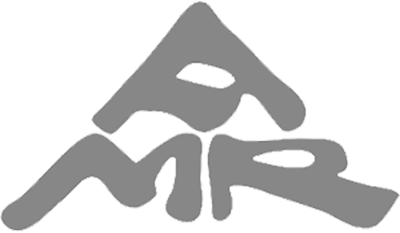 AMR recommends the use of slow-blow fuses for fusing any mains circuit. Such slow-blow fuses require a sustained period of excessive current draw to blow which only arises in excessive/overload situations rather than possibly arising just on power-on. Mains fuses are generally fitted to make sure the equipment is disconnected from the mains in case of a severe defect, such as in internal short, to ensure mainly fire-safety and to protect the mains network. That is the reason why fuses are mandatory and should not be bypassed. As a rule, fuses in equipment are not fitted or required to protect the equipment. Even fast-blow fuses are far too slow to protect semiconductors from damage and slow-blow fuses usually suffice to protect valves. If a manufacturer fits and has specified fast-blow fuses, they may very well have a reason, so in this case we do not recommend AMR Fuses. At the same time if slow-blow fuses are specified or fitted they should not replaced with fast-blow fuses. When used as the main mains fuse, the “inrush”currents during switch on usually will blow out a correctly-sized fast-blow fuse with a few dozen switch on cycles, while a correctly sized slow-blow fuse will survive almost indefinitely. AMR recommends critical listening after 24-hours of use. Typical industrial grade fuses last for many years if the electricity that passes through does not stray above the designed tolerance. Given the much higher quality of construction of the AMR Gold Fuse, if the electricity that passes through is within designed parameters, we estimate the life span should be for many, many years to come. Pure silver is a very soft metal (think of a pure silver necklace which is very fragile) hence it is not applicable to make the fuse wire itself or the end-caps from pure silver. Where possible, AMR has used silver to make the fuse wire from a silver alloy. The fuse wire is designed to operate as a safety element and melt at the rated amperage. 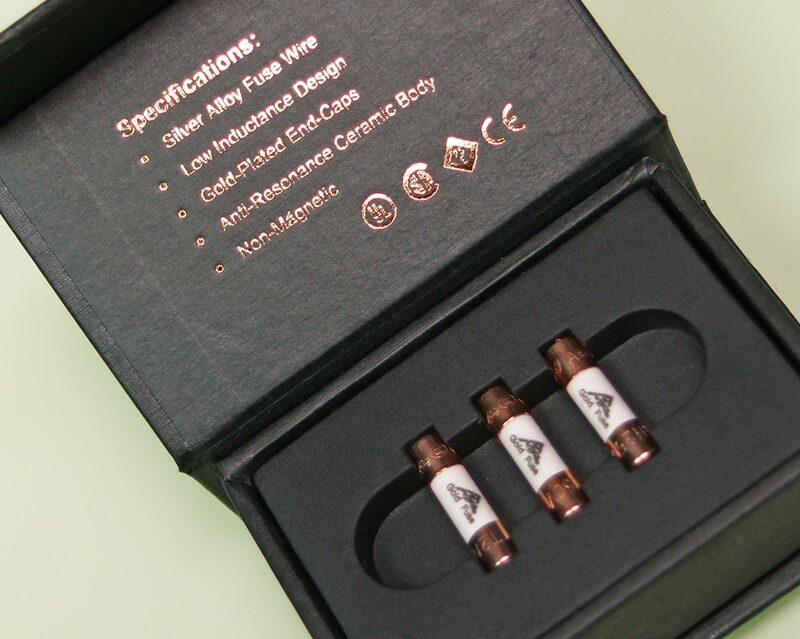 Pure silver cannot perform this duty accurately and across a range of electrical ratings hence, the AMR Fuse is the next best approach, being made of a silver alloy. 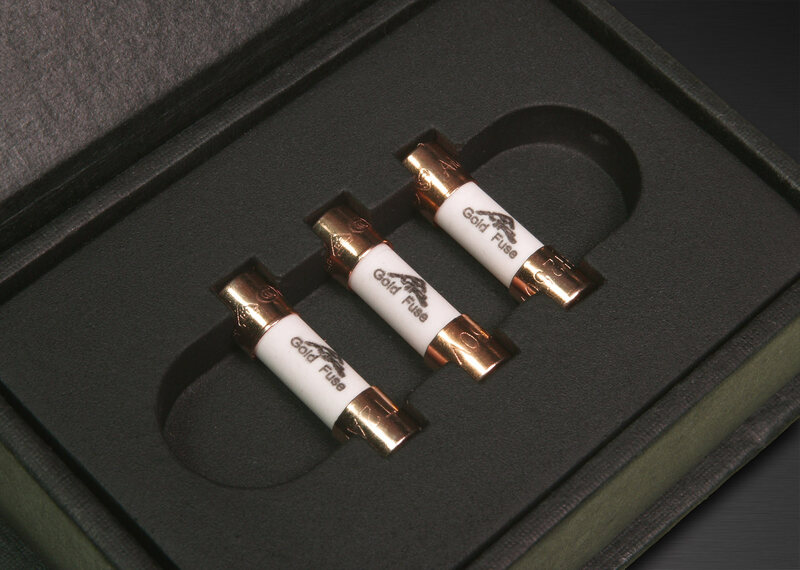 Silver will oxidise which reduces long-term reliability and performance so the end caps are gold-plated instead of silver-plated. The plating is over copper as again, pure silver is too soft for this task. 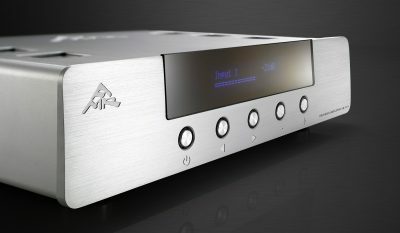 The AMR Gold Fuse is a dedicated reference design to improve each and every audio and visual component. 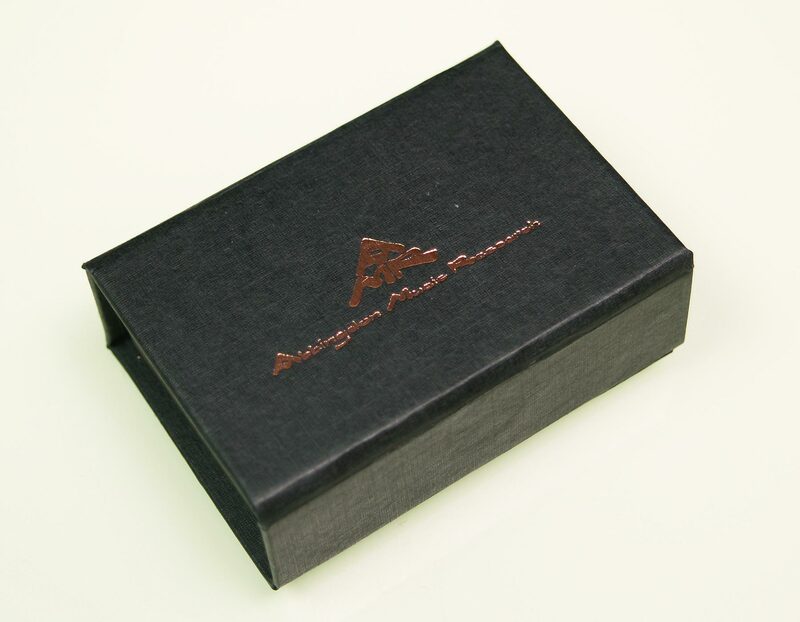 From the market research undertaken by AMR, we found that customers wished to upgrade an audio component at a time and as such, typically holds more than 1, and most probably up to 3 fuses. 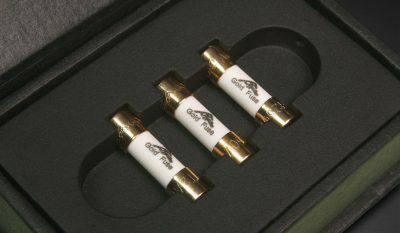 Therefore, AMR decided to offer its range of fuses in a 3-pack to ensure that any component may be fully upgraded with an AMR Fuse. This stance has established the AMR Gold Fuse as second-to-none in terms of maximum performance and unsurpassed value for money. The UK-sized fuse replaces the standard UK fuse inside the UK 3-pin type main plug. With the EU and US-sized fuses, they are located in the IEC of the component which is found at the rear, just above/below where the mains cable is inserted. With a small minority of components, the fuse may be fitted to the inside of the component. In such cases, please consult a qualified electrician before attempting to access the inside to replace the fuse. 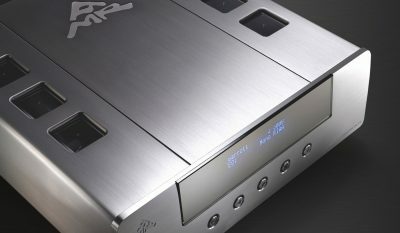 Most audio equipment due to the surge on power up require slow-blow. However, for certain products such as speakers, then the fast-blow type is better-suited. 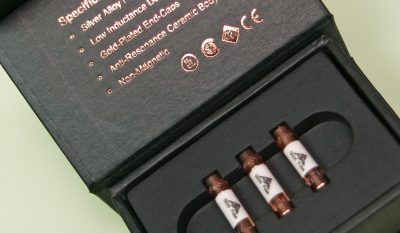 The AMR 2.5A and 4A fast-blow fuses were developed specifically for this application. 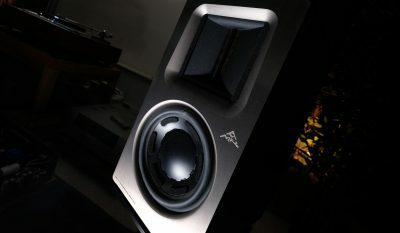 In particular, they ideally-suit the Magnepan range of speakers. Reviewer M. Castro put a number of other fuses up against the AMR Gold Music Fuse and reported the sonic impact upon his Kora Cosmos Valve monoblocks; “Overall, the sound of my steps with fuses AMR is less aggressive, more defined, detailed and natural sounding … come much better …”…” I strongly recommend you test, you have little to lose and everything to gain.” Further evidence that the AMR Gold Fuse is making its own waves in the audio sector. 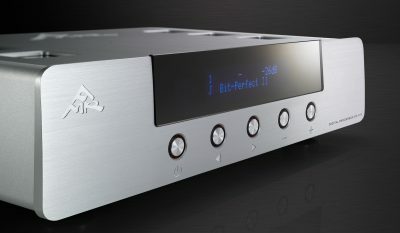 By Mr Amre Ibrahim of HiFi Statement, after the AMR Gold Fuse was inserted into the reference system, it put a smile on Mr Ibrahim’s face.